Government agencies need to be able to communicate with the citizens they serve, or they cannot execute their mission. The Huntsville Housing Authority was having such severe communications reliability issues that the level of customer service they could provide was suffering. That’s when the agency turned to Star2Star. 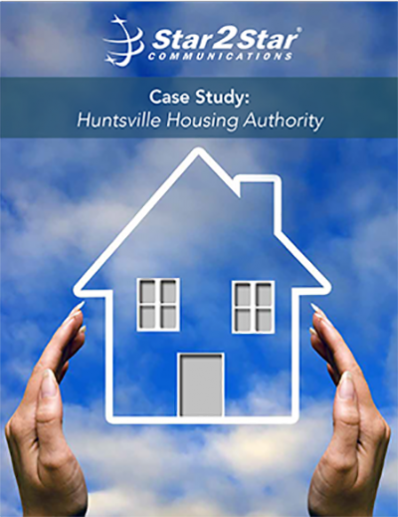 Read more to discover how Star2Star was able to provide the Huntsville Housing Authority with a reliable communications solution that let the agency refocus on the needs of Huntsville citizens.